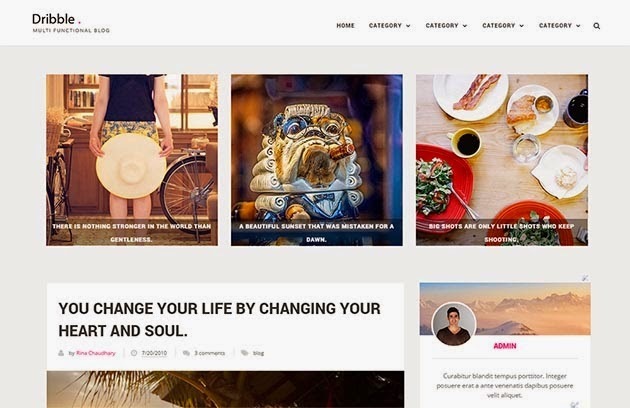 Dribble Clean is a simple, clean, personal, modern and professional blogger Template ideal for spreading stories. The Post formats are distinctively designed to bring variety and richness to the content. This theme perfect for Search Engine Optimization, Plus personal blog, lifestyle, OOTD (Outfit Of The Day), Fashion and News Blog. Its Support multi author options via google plus.